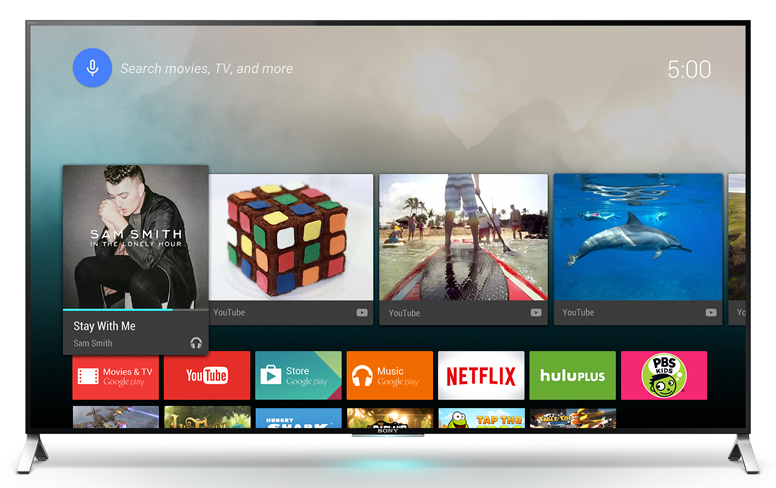 TV apps must display a Now Playing card when playing media behind the launcher or in the background. This card allows users to return to the app that is currently playing media. The Android framework displays a Now Playing card on the home screen when there is an active MediaSession. The card includes media metadata such as album art, title, and app icon. When the user selects the card, the system opens the app. This lesson shows how to use the MediaSession class to implement the Now Playing card. Figure 1. Display a Now Playing card when playing media in the background. Note: The Now Playing card will display only for a media session with the FLAG_HANDLES_TRANSPORT_CONTROLS flag set. The Now Playing card only appears for active sessions. You must call setActive(true) when playback begins. Your app must also request audio focus, as described in Manage audio focus. The card is removed from the launcher screen when a setActive(false) call deactivates the media session, or when another app initiates media playback. If playback is completely stopped and there is no active media, your app should deactivate the media session immediately. If playback is paused, your app should deactivate the media session after a delay, usually between 5 to 30 minutes. Update the playback state in the MediaSession so the card can show the state of the current media. Set the MediaMetadata with the setMetadata() method. This method of the media session object lets you provide information to the Now Playing card about the track such as the title, subtitle, and various icons. The following example assumes your track's data is stored in a custom data class, MediaData. When the user selects the Now Playing card, the system opens the app that owns the session. If your app provides a PendingIntent to setSessionActivity(), the system launches the activity you specify, as demonstrated below. If not, the default system intent opens. The activity you specify must provide playback controls that allow users to pause or stop playback.